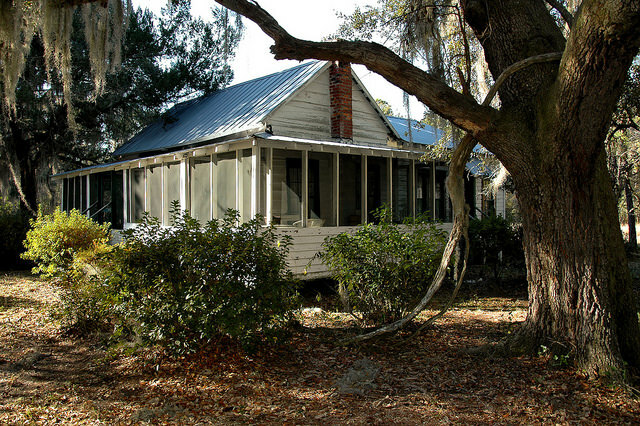 The highlight of the historic Eddie Bowens Farm is this house, which was originally built as a simple two-room hall-parlor structure and expanded over the years. The low-lying land of coastal Liberty County was suitable for little agriculture beyond rice cultivation, and remnants of this activity can be found on the property. Scuppernongs and other fruits are present; notable are two strawberry trees, a relative of mulberry that botanists speculate were brought to Georgia during the Colonial era for use in the short-lived silkworm experiments. The Eddie Bowens Farm is significant as an excellent example of an early 20th-century African-American farm. Mr Bowens was a farmer, construction worker, carpenter, oysterman, and root medicine practitioner, as well as a deacon and elder at Sunbury Baptist Church. 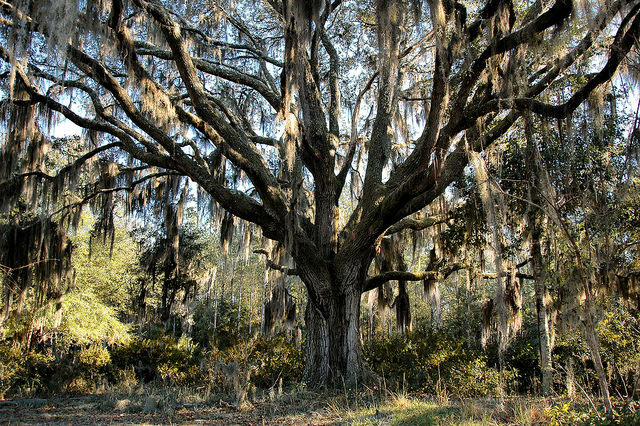 Many consider moss-draped oaks romantic symbols of Coastal Georgia. 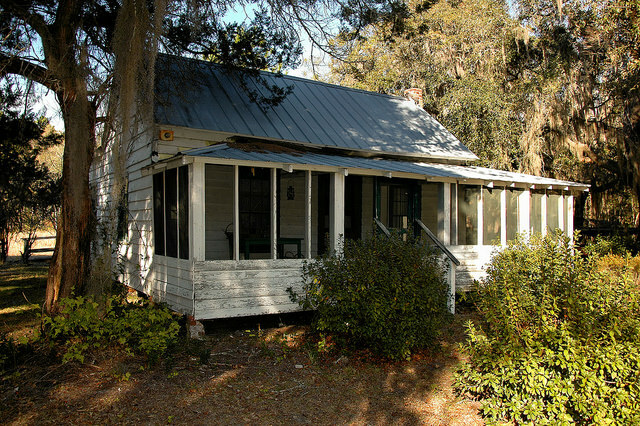 This particularly nice one is located on the grounds of the Seabrook Village living history museum in Liberty County. 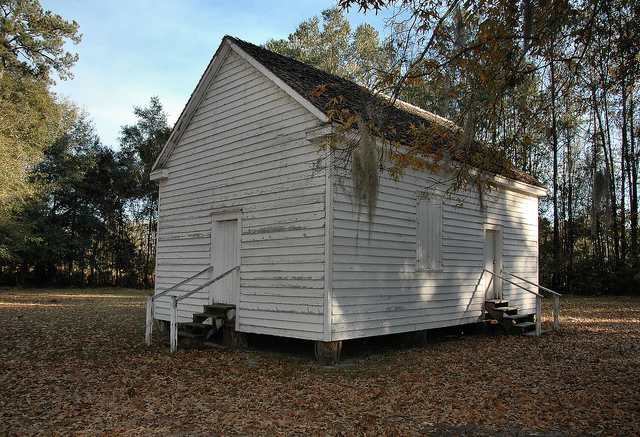 This is among the most historically important African-American vernacular schoolhouses still standing in Georgia, similar in style to the Needwood School in Glynn County. 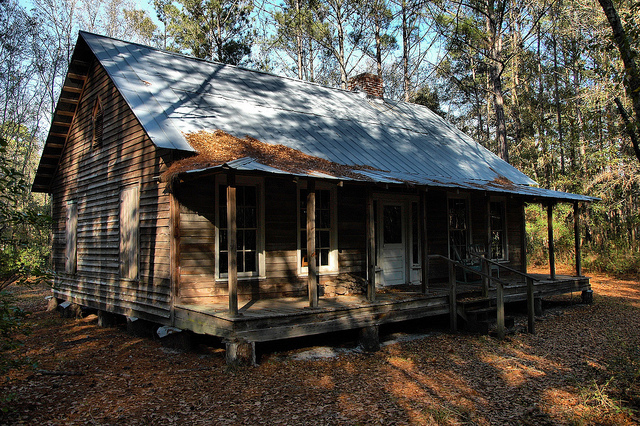 Seabrook Village is a recreated African-American community, and one of the most unique living history museums in Georgia. While it may seem abandoned and in a state of disrepair, it’s actually an authentic look into the challenges most black Georgians faced on a daily basis from the first generation after slavery until the 1930s. The Seabrook community was established through land grants dictated in General William T. Shermans Field Order 15 in 1865. This was the policy which became known as “Forty Acres and a Mule” and it afforded many former slaves the opportunity to settle land they had once worked as laborers. 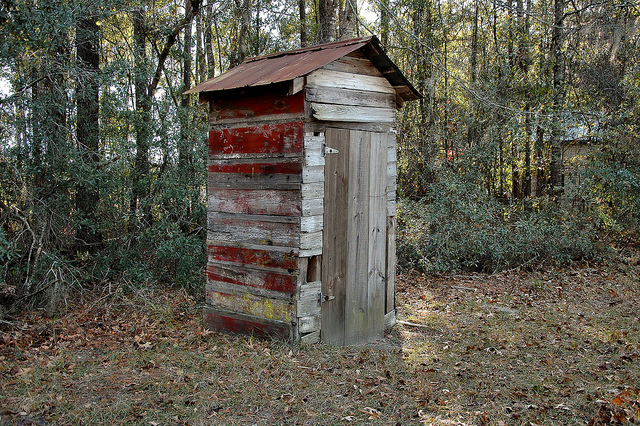 The reclaimed materials used in the construction of this privy, or outhouse, are typical of African-American vernacular architecture along the Georgia coast.